According to Professor Charles Hapgood’s theories set forth in his book “Maps Of The Ancient Sea Kings,” the entire planet had not only been circumnavigated thousands of years before Columbus discovered America, there are maps to prove it. The smoking gun? 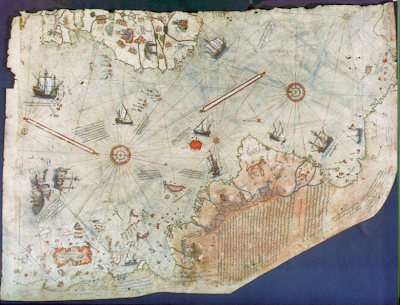 The infamous Map of Piri Reis - which not only depicts the continent of Antarctica, it shows a survey of the frozen land mass completely devoid of ice. The last time Antarctica could be observed in this state? Over 15,000 years ago.